Terry Tai M.D. Director, Portfolio & Strategy Dr. Tai has more than 10 years of experience in regulatory science as a medical reviewer and consultant at the Center for Drug Evaluation (CDE), Taiwan. In the role of Senior Medical Reviewer/IND Review Team Leader, Dr. Tai has reviewed more than 200 IND cases and was instrumental in developing multiple TFDA draft guidance documents for new drug development. As the Consultation Center’s Director, he provided scientific and strategic leadership to a multidisciplinary (CMC/PT/PK/Clinical/Stat.) 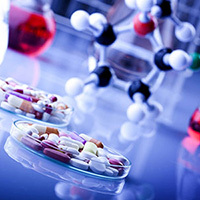 regulatory consultation team consisting of senior reviewers and project managers and offered integrated consultation services to new drug development pipelines from pharmaceutical industries/research institutes. Dr. Tai was designated as the principal investigator/co-PI in multiple government-sponsored programs, such as the TFDA-sponsored “Cross-strait Cooperation Agreement on Medicine and Public Health Affairs”, where he led the collaboration between the TFDA/CDE and CFDA-CDE to execute the Cross-strait Collaborative Platform on Technical Review of Drug and provided Mainland China Regulatory Consultation Service to domestic pharmaceutical companies interested in submitting a CTA/NDA/ANDA to the CFDA.